If you are a new client to At Home Mobile Veterinary Clinic, please download, print, and complete the new client information sheet. Please provide the completed form when we arrive for your appointment. If you have a surgery or dental procedure scheduled with At Home Mobile Veterinary Clinic, please download, print, review and sign the appropriate form. 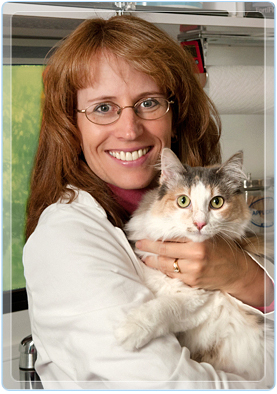 We will accept the form and go over the information with you prior to your pet’s procedure. If we are coming for an appointment for your pet cat, please insure that the kitty is in the house and placed in a bathroom or other safe small room at least 30 minutes before we arrive. Cats are notorious for being MIA when the veterinarian comes knocking on the door! If we are seeing a small bird or a flighted larger parrot, please provide a portable cage or container to transfer your pet from your house to the mobile clinic. When the form has downloaded, please print and complete the information sheet and have ready at the time of your appointment.